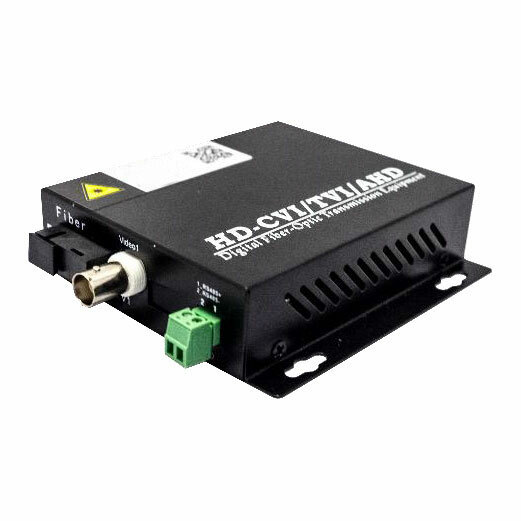 HDCVI / HDTVI / AHD video transceiver and RS485 data transceiver, 1 x multimode, SC format. 2 km. 1310 / 1550nm. 5V DC (power supply included). -20°C ~ + 74°C. Desktop.